Since Democrats took control of the House of Representatives in January, they have unleashed a torrent of radical policy ideas. Among the most outrageous are the Green New Deal, “free” college tuition, and eliminating private healthcare in favor of a single-payer system. While bankrupt of erudition, these proposals serve a purpose to feed an angry political base with a steady diet of socialist red meat. More likely red tofu, as red meat would be restricted under the current ethos of social re-engineering sweeping our nation’s capital. Now comes the most radical and dangerous idea yet. In pushing its H.R. 1 “For the People Act of 2019” election “reform” bill, ( www.tinyurl.com/voterattestation )House Democrats opposed a Republican measure that condemned voting in U.S. elections by illegal immigrants. With the exception of six brave souls, the House Democrats voted in lockstep to kill the measure. That’s right, one of America’s two major political parties is now on the record supporting the voting rights of foreign nationals in U.S. elections. The gravity of this position should not be lost on legal American citizens who cherish their voting rights. If this policy were implemented, the value of American citizenship essentially would be rendered worthless. The American people would no longer have exclusive sovereignty over the direction of their nation. Anyone in the world, no matter their allegiance to our country or respect for its founding principles, would have as much say as you in determining America’s future and its leaders. That is a truly frightening idea that must be vehemently opposed. Given the agenda of anti-borders groups and political leaders, this should not come as a shock. There has been a growing effort to mainstream the idea of noncitizen voting at the local level. The pioneer in this nefarious idea has been California, America’s noxious petri dish of radical, left-wing immigration policy. 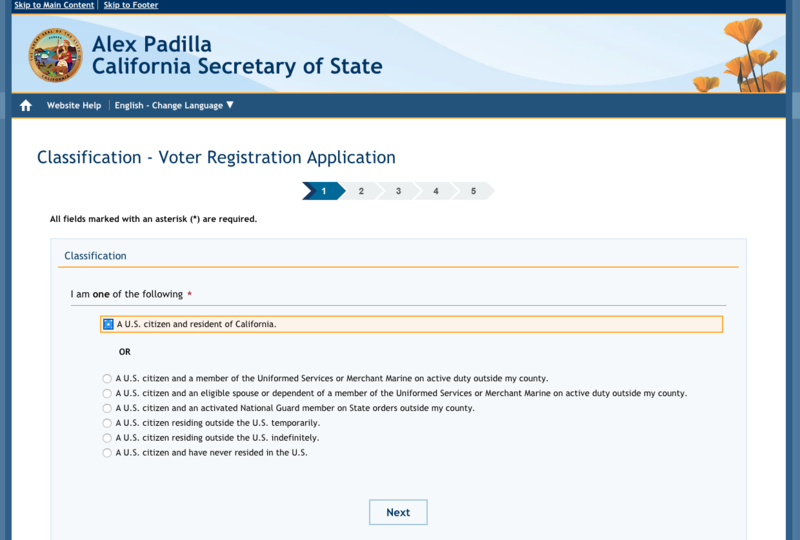 Last fall, San Francisco became the nation’s largest city to permit ( www.tinyurl.com/illegalvoter2 )noncitizens to vote in local elections. This expanded voting was only allowed in the school board elections, but does anyone think it will stop there? The state’s new governor, Gavin Newsom, has proudly endorsed California’s status as a sanctuary for illegal aliens. He and state representatives in Sacramento no doubt will read the signals from the Democratic caucus in Washington as a green light to push onward. Other sanctuary jurisdictions are following California’s lead. Chicago devised a cynical, back-door approach to noncitizen voting by creating an identification card (www.tinyurl.com/illegalvoter ) for illegal aliens. Purportedly to allow access to basic needs in the city, the card is also accepted as a valid form of ID to register to vote. And to think the United States once sent former presidents and diplomats to monitor the electoral integrity of other nations! What high moral ground do we stand today on when this sort of chicanery is allowed to take place here? These actions, the rejection of the House GOP measure in particular, should be taken as a malicious insult both to native-born American citizens and legal immigrants alike. Why? Power-hungry, narcissistic politicians have concluded that you, the American voter, cannot be counted on to vote a particular way—their way. Their solution is to import endless waves of foreign nationals in defiance of our immigration laws. A vast majority of these arrivals have only lived under despotic, totalitarian regimes with no grounding in American democratic values. As such, these arrivals are ripe for exploitation: by politicians dangling benefits for votes, by employers seeking cheap labor at the expense of American workers, and by brutally violent members of gangs like MS-13 who hide in the same sanctuary communities among others living here illegally. As a final insult, the whole thing is packaged as compassion for the illegal aliens, while anyone who disagrees is branded as a low-brow, xenophobic hate merchant. Happily, Senate Majority Leader Mitch McConnell (R-Ky.) has said H.R. 1 is dead on arrival in the Republican-controlled chamber. The endorsement of noncitizen voting is only one among many of the bill’s many poison pill (www.tinyurl.com/poisonpill1) components. Rest assured, however, that the push for noncitizen voting will, like post-nuclear holocaust cockroaches, survive and resurface in a community near you. Stand strong against noncitizen voting and against any politician who advocates for it before complacency allows it to spread further.